Sometimes things don't happen..plans don't work out..anticipation fails you..excitement dies down..you are disappointed and hurt..given up, and still hanging in..sometimes it takes a while and a lot of efforts for dreams to come true...and its still ok. Sometimes you want to stop proving your sanity...act impulsive and random...and careless...wish upon stars and be damn sure its going to come true..believe in tooth fairy and cupid...sometimes you want to yell at the world for all that went wrong and laugh at destiny...sometimes you want to cry your heart out...but you can't..and its still ok. Sometimes you want to just dive in..deep into your soul and just listen to your silence...you want to love yourself more than you expect anyone to...sometimes you want roses, without thorns...sometimes you want it all, without a bargain..sometimes you want to prove the world wrong and give a sheepish grin...and it may take while..and its still ok. 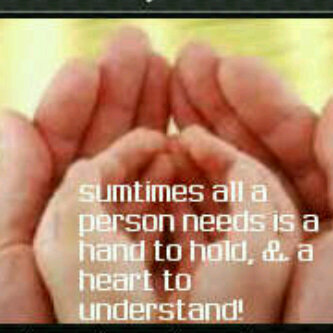 Sometimes all you really need is a hand to hold and a heart that understands...and they are both missing..and its till ok. Sometimes...its just ok to BE. Its OK.
From Heart.. And sometimes you read a beautiful piece.. Heart connects to it.. It is double ok.. Wonderfully written.. The expression from the BE state is always wonderful.